YOUR CHARLESTON MOLD TESTING, MOLD REMOVAL, MOLD REMEDIATION EXPERTS! Mold can form in your Charleston home in business due to a small water leak or high levels of humidity. Mold can form in as little as 48 hours after a water damage or a water leak, potentially causing devastating damage. If you have a mold problem in your home or business our experts can help evaluate and restore your property, utilizing our specialized training, equipment, and expertise. 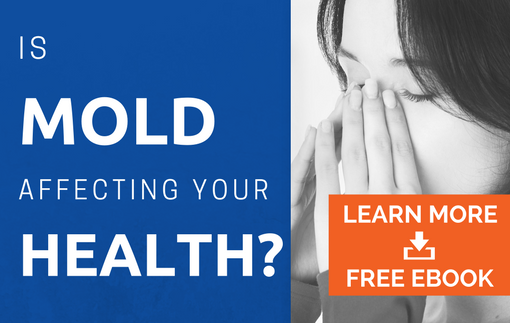 Do you have visible signs of mold? Call Us Today – (843) 806-0862 for a free mold removal estimate! Where does Charleston mold commonly grow? Mold is commonly found in areas with excessive amounts of moisture such as bathrooms, laundry rooms, and crawlspaces. Mold feeds off of materials such as wood, dust, etc. Mold also needs moisture to grow. High levels of moisture can lead to mold growth as well as an increased health risk. Mold spores produce rapidly in humid climates like the Tri-County area, so we understand how severe your mold issues can be. Why is mold growth in Charleston a problem? The presence of mold can also cause health problems for susceptible individuals. Some people are particularly sensitive and irritated by mold exposure. Systems of mold allergies include irritation in the eyes, sneezing, coughing, and severe respiratory issues. Prolonged exposure to mold can be linked to difficulty breathing and can lead to harmful effects on your family’s health if it is not properly taken care. How can I prevent Charleston mold growth? Before proper mold removal or mold remediation can begin, any sources of excess water or moisture must be eliminated. Otherwise, the mold may return. How do I know if I have a Charleston mold issue? Great care must be taken in the mold removal process. Without proper education and training, you risk the possibility of further contaminating your property and increasing the damage. AdvantaClean of the Lowcountry works with property managers, homeowners, insurance adjusters and industrial hygienists in providing full-service mold remediation and indoor air quality services-- restoring homes and buildings to their most clean, safe and healthy state. AdvantaClean of the Lowcountry holds certifications through MICRO as a Certified Mold Contractors and Certified Mold Inspectors. We are knowledgeable in the proper procedures, tools and equipment to use in this delicate process. Let our certified mold inspectors and remediators take care of your mold issues in the Charleston, North Charleston, Summerville, Mt Pleasant, Daniel Island, Goose Creek, Ladson, Moncks Corner, Georgetown, Pawley’s Island, James Island, Johns Island, Isle of Palms, Ravenel, Kiawah Island areas.